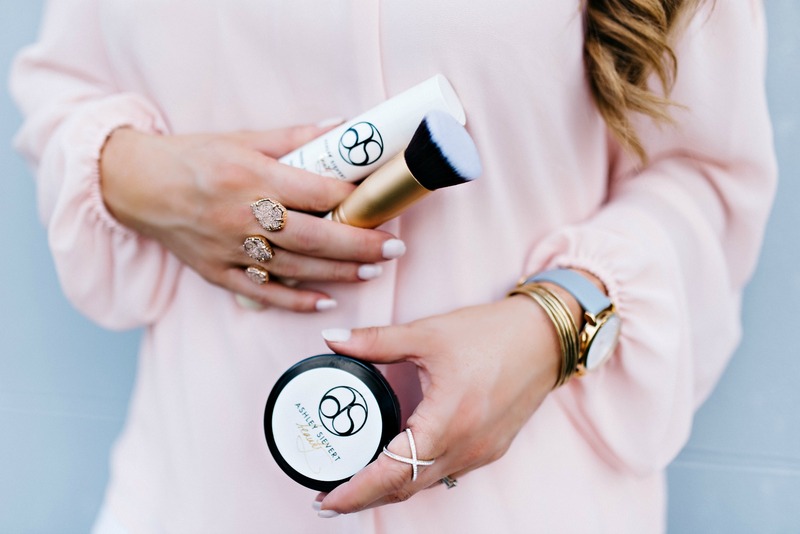 Popping in tonight with some of my current favorite beauty products! I’ve found several things that I’m over the moon about and wanted to share them with you guys! I was introduced back in the fall of last year to this beauty line and I’ve been pretty smitten with it ever since! This lightweight, yet full coverage foundation goes on incredibly smooth and has THE best velvety finish I’ve ever experienced in a foundation, hands down. It’s completely waterproof, long-lasting and has a built-in SPF15 that’s chemical free. It comes in six shades and if you’re unsure of what color will work best for your skin tone, tester packs are available. I wear the New York shade, just to give you a little reference. And honestly, if you decide to try this foundation, you *must* try it with the Velvet “Air” Brush. It’s amazing and really helps to give that flawless look, in my opinion. Also, I must mention the Velvet Finishing Powder and the Under Eye Brightener as well. I really love the way these all work together to get that flawless finish we all strive for. The eye brightener is great for both concealing and brightening up that delicate under eye area. I honestly just LOVE this beauty line, you guys! If you’re a regular reader here at the blog, you may have caught my post about my experience at the Baton Rouge location of Drybar. I’ve had such fantastic experiences each time I go there to have my hair styled. My stylist, Ebony, introduced me to their line of hair care products and showed me what each of them did as she was applying them to my hair. I was immediately impressed with the results from using the Triple Sec Spray. It adds SO much volume and texture, friends! Needless to say I went home with a can of it that first day. It’s now become a regular part of my hair styling routine and I’m so happy to have a solution to the flat hair dilemma. Bu-bye, Humidity! 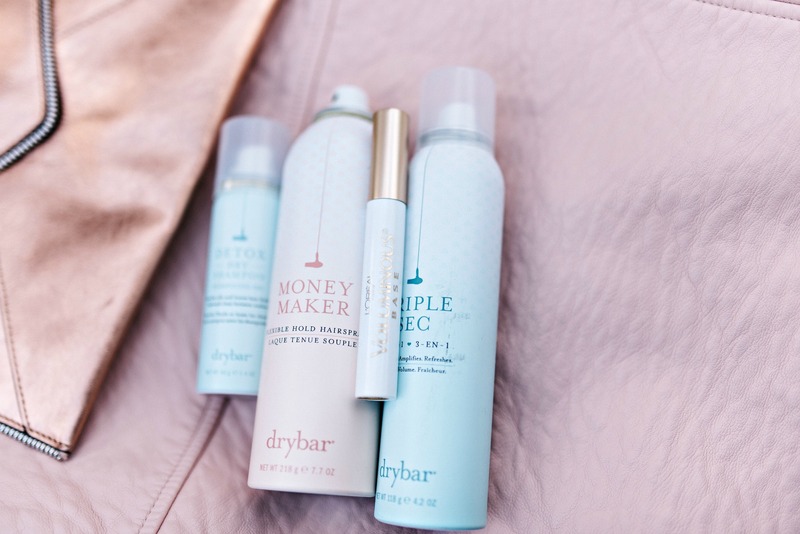 Also, I wanted to mention my other two favs from the Drybar collection as well. The Money Maker hairspray smells amazing…seriously, I get asked what fragrance I’m wearing quite regularly because it smells that good. In addition to the smell, I love the flexible hold it gives. And lastly, the Detox Dry Conditioner is a lifesaver, especially after a workout when you still have errands and appointments to get to! I have the little travel size and I keep it in my purse when the hair needs a little refresher. Good stuff. So, after hearing about this line, on a whim I picked up this facial exfoliator when I was in Target one afternoon. I’m pretty picky about my exfoliators….I like mine fairly gritty, with smaller beads. So I was really pleasantly surprised at the level of sloughing off I could attain with this one. If you love a good gritty exfoliator, I highly recommend giving this one a try! Now that I’ve tried this, I’m eager to give something else a try in the E.L.F. line as well. Ok, so over the years I’ve tried a TON of different mascaras, some expensive and some inexpensive. I really wanted to love all the high end ones I kept hearing rave reviews about, but nothing ever really won me over. I’ve been wearing the Original Voluminous Mascara in Blackest Black by Loreal for as long as I can remember, you guys. Like I mentioned, I’ve occasionally tried others thinking they would be better than my drugstore version, but I ALWAYS go back to my old one. So, when I saw that my favorite mascara had come out with a primer, I was so stoked! Now, I wonder how I lived without the stuff, that’s how much I love it. So, the Voluminous Lash Primer and Mascara combo it will be for this gal from here on out. No more playing the field for me. I have medium weight hair that has a good amount of wave to it naturally. If I work at it hard enough I can scrunch it up into a pretty good 90’s hair rendition. Ha! Living here in South Louisiana, the humidity can absolutely kill your smooth locks. I discovered the Living Proof line a year or two ago and have really loved the difference it makes in the smoothness of my hair. I swear by this combo here….Living Proof Shampoo + Conditioner + It’s a Ten Miracle Leave-In Product. That pretty much gives me the smooth, glossy finish I’m looking for every time I wash my hair. 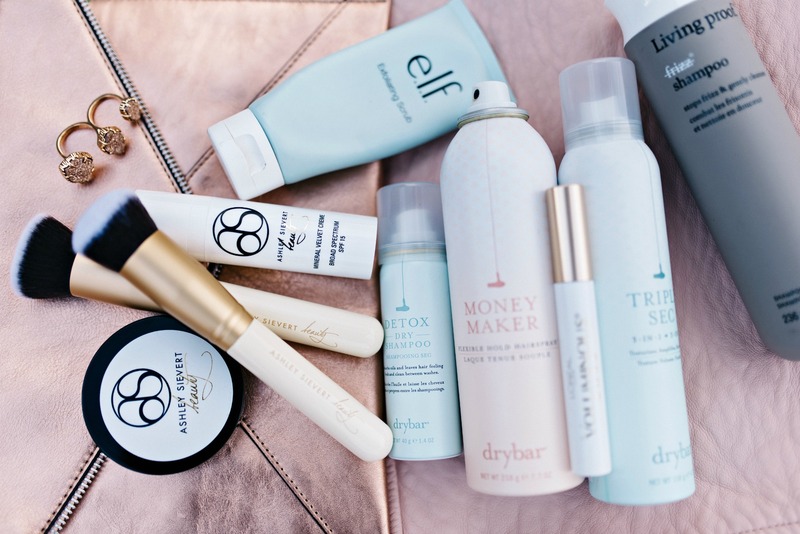 So, those are my current beauty product favs for you! 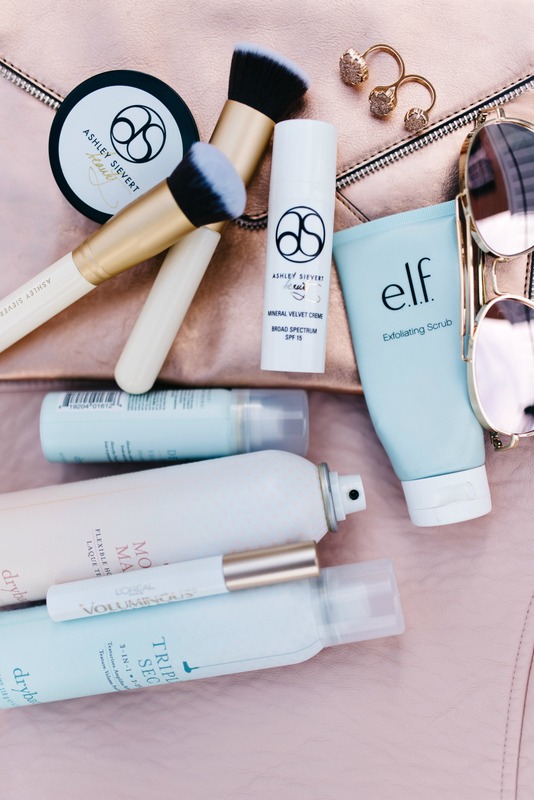 Hope something on the list helps you out in your daily beauty routine. Be sure to drop back by for that! **There are affiliate links in this post. This does NOT mean you pay any more when you purchase a product through my link. It just means I made it easier for you to find something, so I make a few cents when you purchase it. I SO appreciate your support. It makes everything I do here possible at the blog! Thank you!